Last week, after a 1-0 loss to the Indians, I heard a few fans complaining that we lost the game because of Darnell McDonald's baserunning blunder. Others blamed the umpire for calling him out when he was "clearly" safe. My friend Reg, over at his Rulebook Guru's Blog has more to say about why blaming an umpire for a loss is never very astute. But I want to touch on why blaming one player, or one play is also a sign that you probably should be watching hockey instead, because baseball is obviously way too complicated for you. First of all, how about EVERY single Boston batter? We only got 4 hits, which meant there were a lot of 0-fers. If any of those had been a 1-fer with a HR, this game might still be going on. The pitching was pretty good, only giving up 1 run but it could have not given it up. 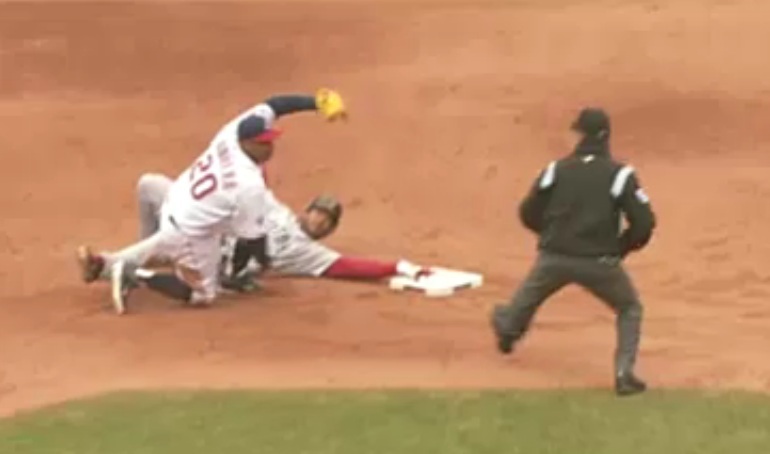 The run scored with the help of a stolen base (could it have been prevented? do we blame Bard's slow delivery, or Salty's late throw? ), and 2 bunts (better infield defense? or positioning?). Ok, these are pretty general things, but a fan could say that we lost the game because our leadoff batter in the 1st inning grounded out instead of hitting a home run and that would make about as much sense as blaming it on the last play of the game. 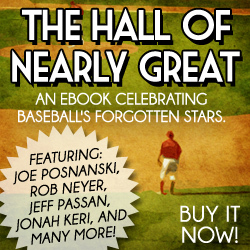 Top of 8: Runners on 1st and 2nd with 1 out in a scoreless tie: At this point, the standard probability of the Sox winning the game was 62% (Using standard MLB Win probability tables from The Book: Playing the Percentages in Baseball ). The fact that the heart of the order was coming up improves that even more. So what did the Sox do? Back to back soft ground outs by Crawford and Pedroia. Failing to score that inning knocked our chances of winning back down to 39%. That's a decrease of 23%. At the end of the game, if McDonald stays at 2nd base, we have runners on 1st and 2nd with 2 outs down by a run. The probability of us winning the game at that point is only 14% (probably less because we have our #8 and 9 hitters coming up). Getting thrown out to end the game obviously takes that down to 0. That "blunder" was less costly then not knocking in the run in the 8th inning. But nobody is talking about that squander. And don't get me wrong - they shouldn't - that's my whole point! Each at bat or play adds or subtracts a little bit from the complete picture. No one play can ever make a difference. Again, if you think a walkoff grand slam in the bottom of the 9th is the difference in a game, you're not thinking about the big picture. You need to keep in mind the sequence of events that led to that situation. The last straw that broke the camel's back, didn't weigh any more than any of the other ones.